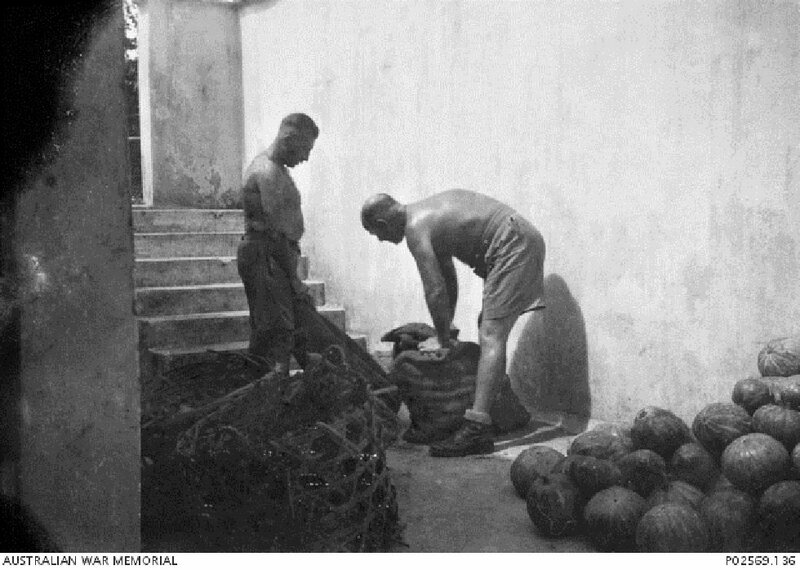 Two unidentified men, most likely Australian soldiers, moving sacks of coconuts, 1942-1943. Image courtesy of George Aspinall, Australian War Memorial. 1 October 1944. 6 January 1945. It was alleged that the accused participated in the beating, torture and maltreatment of six civilian residents of Port Blair when he learnt that they were absent from work or when they helped others who received such treatment from him. Three of the victims died as a result. The accused was a civilian and hence not officially part of the Japanese forces. The court held that, since his firm was a Japanese one engaged solely in work for the Japanese forces, the accused could be taken to be in the service of the Japanese forces. Interestingly, this was not the first time that the accused was tried for war crimes. 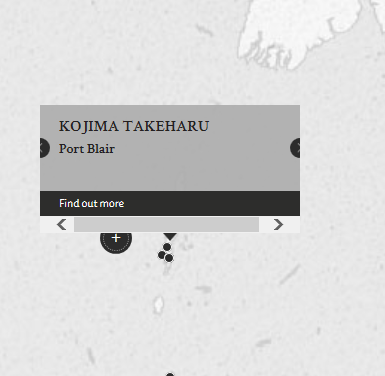 Kojima, Takeharu. Supervisor at a firm engaged solely in ship-building work for the Japanese forces. Civilian. From Japan. Guilty. Death by hanging. Sentence confirmed. Webster, W.A. Captain. From British military. Lala, G.C. Captain. From British Indian Army. Advocate. Crewdson. Captain. From British military.